Baked Chips Combo (30 Count Variety Bag). 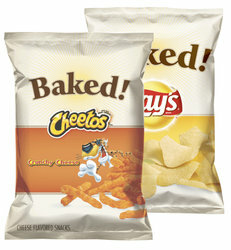 Our Baked Chips Combo is the easiest way to get the two most popular baked chips that we carry. 15 each of crowd pleasing favorites. Like all of our variety packs, they come in a clear, drawstring bag for easy storage and distribution.